2. 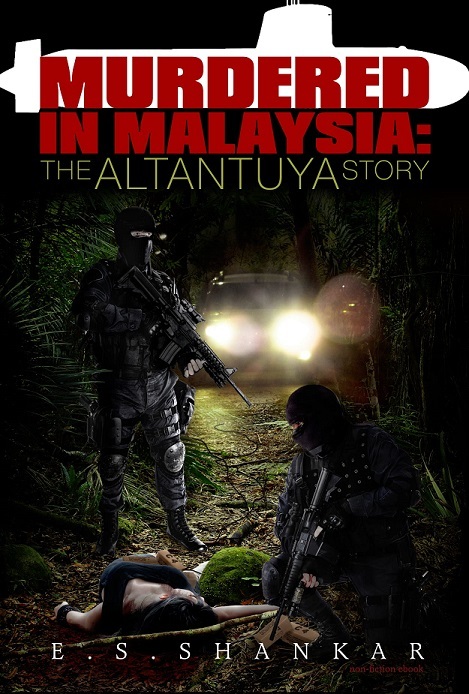 My informer states that Acting Colonel Aziz Buyong was the person who placed the C4 on various parts of Altantuya’s body while being witnessed by Datin Seri Rosmah Mansor and Norhayati. 3. I make this Statutory Declaration because I have been reliably informed about the involvement of these three people who have thus far not been implicated in the murder nor called as witnesses by the prosecution in the on going trial at the Shah Alam High Court. I also make this Statutory Declaration because I am aware that it is a crime not to reveal evidence that may help the police in its investigation of the crime. 4. I have further been reliably informed that Prime Minister, Dato Seri Abdullah Ahmad Badawi has received a written report from the Military Intelligence confirming what I have revealed above and that the report was subsequently handed over to his son-in-law, Khairy Jamaluddin, for safe-keeping. 5. I have also been reliably informed that one of the Rulers has been briefed about this matter and His Highness is fully aware of what I have revealed above. 6. I have knowledge of who has informed me of this matter plus I have knowledge of the Ruler who has been briefed and is aware of the matter but I have agreed that I shall not reveal this information other than mention that the Prime Minister and his son-in-law have been handed a written report confirming what I have revealed. 7. The purpose of this Statutory Declaration is to urge all these parties who have been duly informed and have knowledge of this matter to come forward to reveal the truth so that the police are able to conduct a proper and thorough investigation into the murder of Altantuya Shaariibuu.